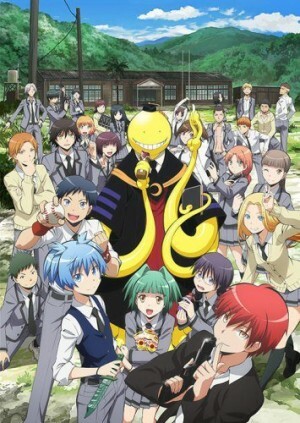 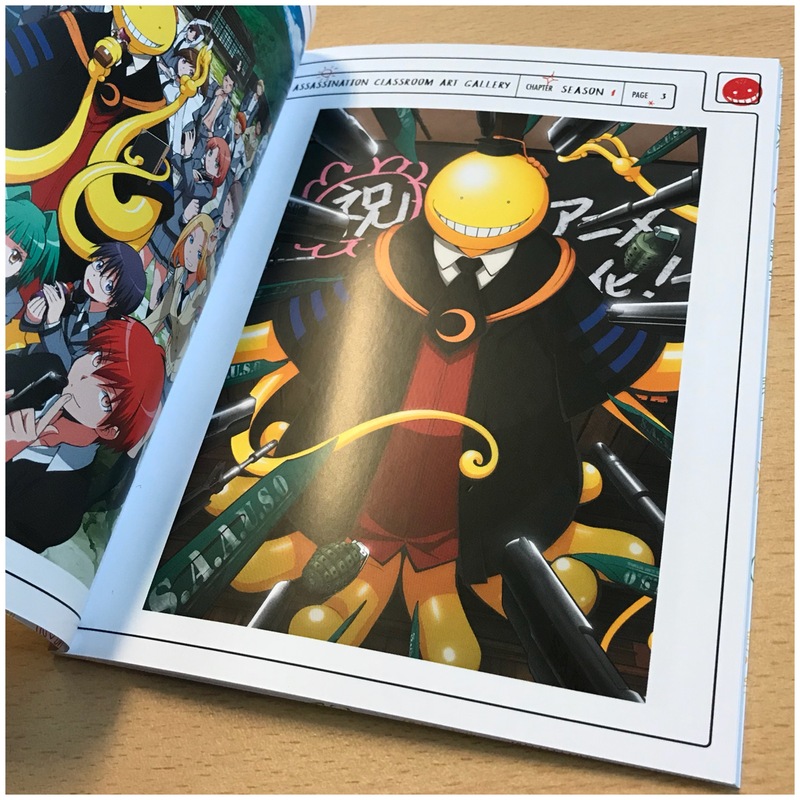 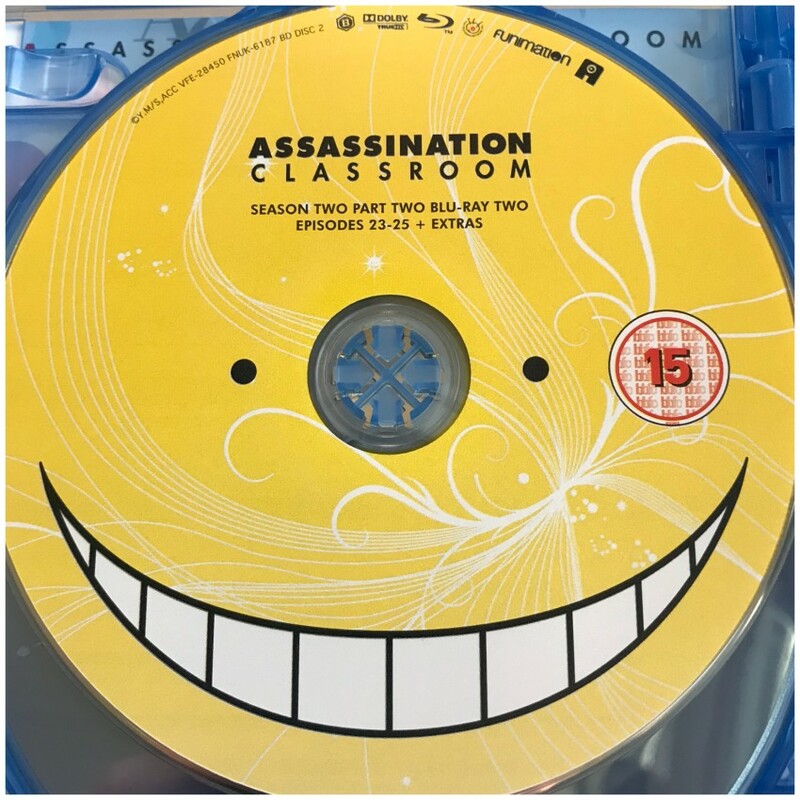 If you’re looking for a series that’s sure to provide a whole bunch of laughs then Assassination Classroom is a sure to be right up your alley. 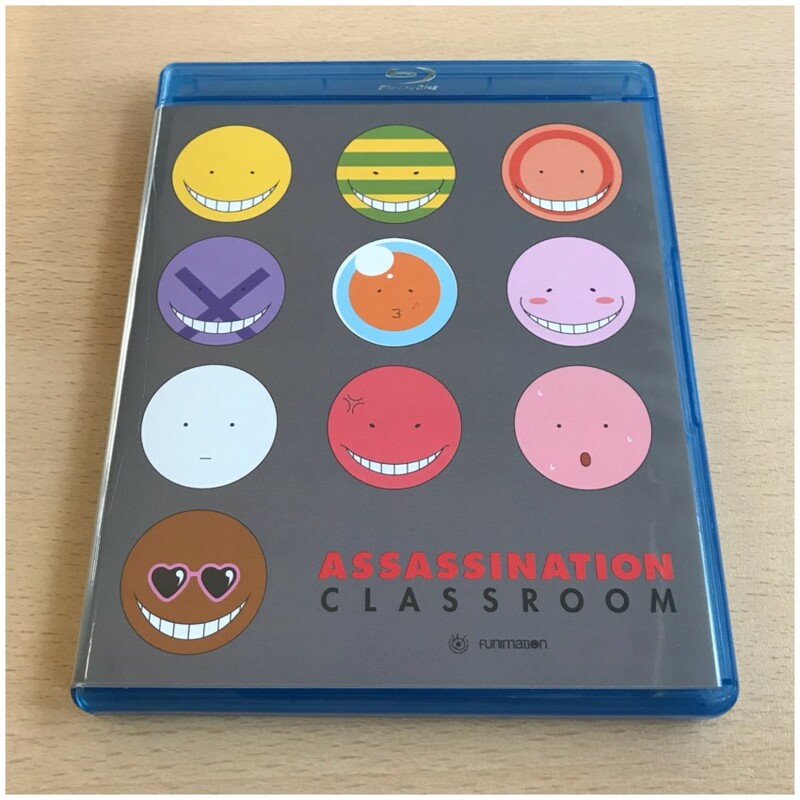 With all sorts of emotion, and featuring a unique and diverse cast of characters – a cast who have an alien as a their teacher, who is planning to destroy the world before the school year is up – there’s plenty to enjoy here. 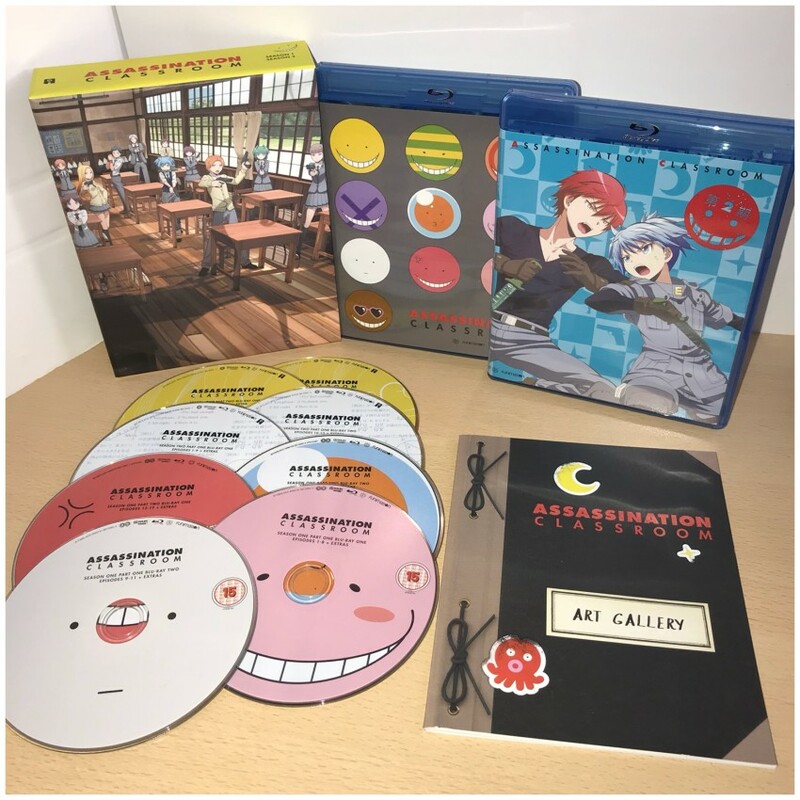 Back in December we revealed that we would release a special Blu-ray set (that’s currently exclusive to our AllTheAnime.com online shop) collecting both seasons of the series. 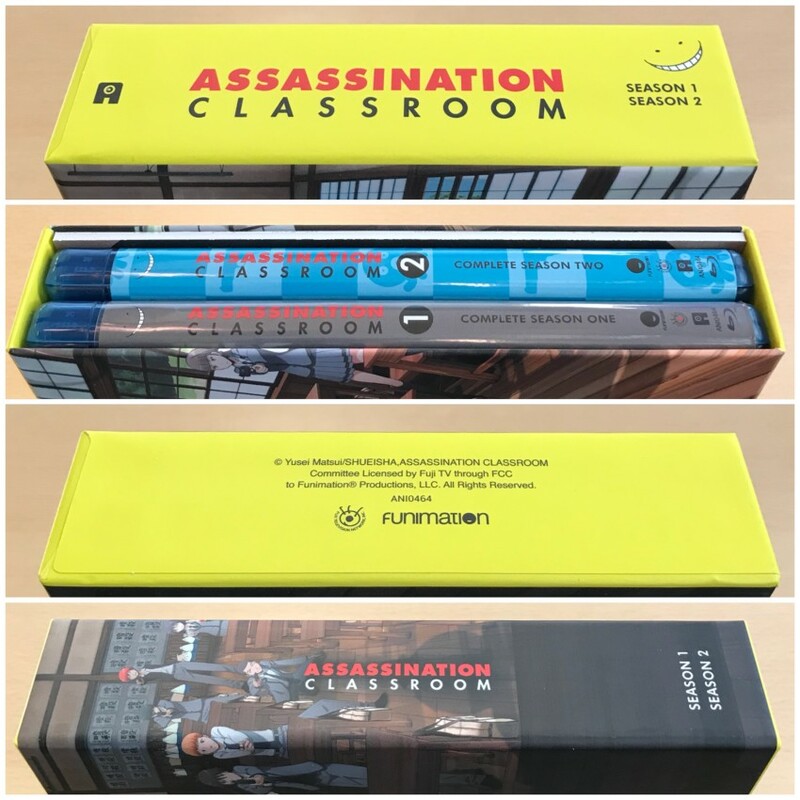 With this set now in stock and shipping, it’s the perfect time to bring you a full unboxing of this! 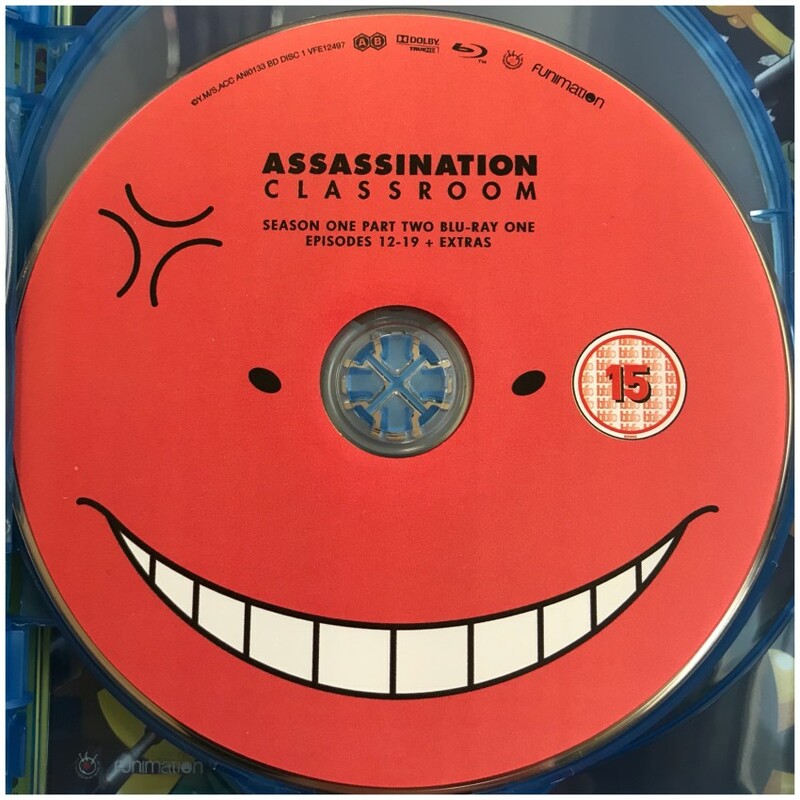 If you’re not familiar with the series, we’ll give you a quick primer into the bargain. 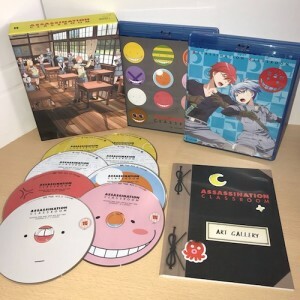 This AllTheAnime.com Exclusive release brings both seasons of the series together into one collection. 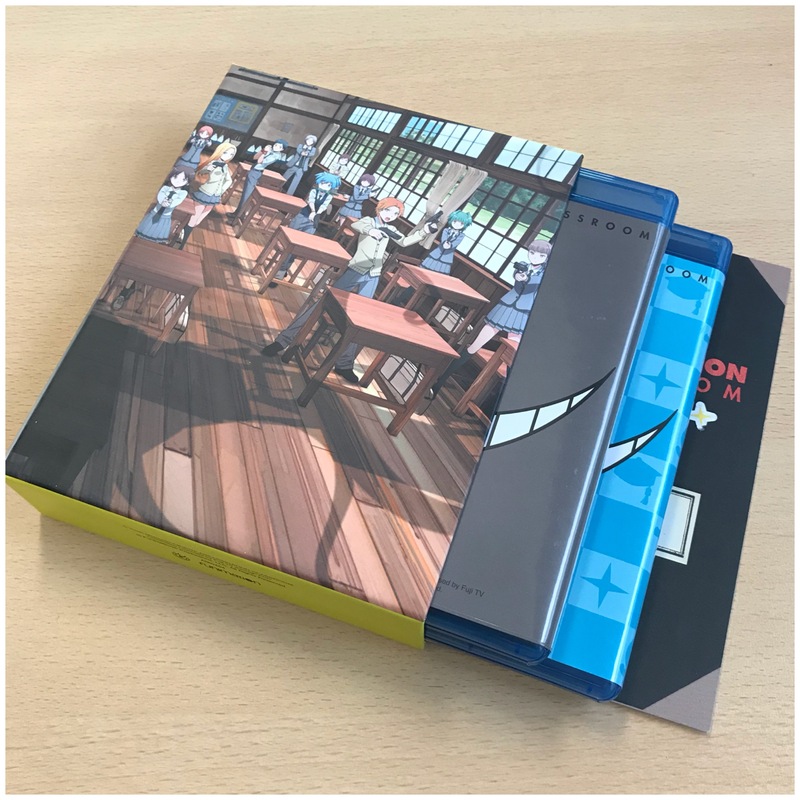 It’s presented inside a rigid case, and inside that you’ll find an Amaray case containing the first season (22 episodes) over four Blu-ray discs, and another case containing another four Blu-ray discs with the second season (25 episodes). 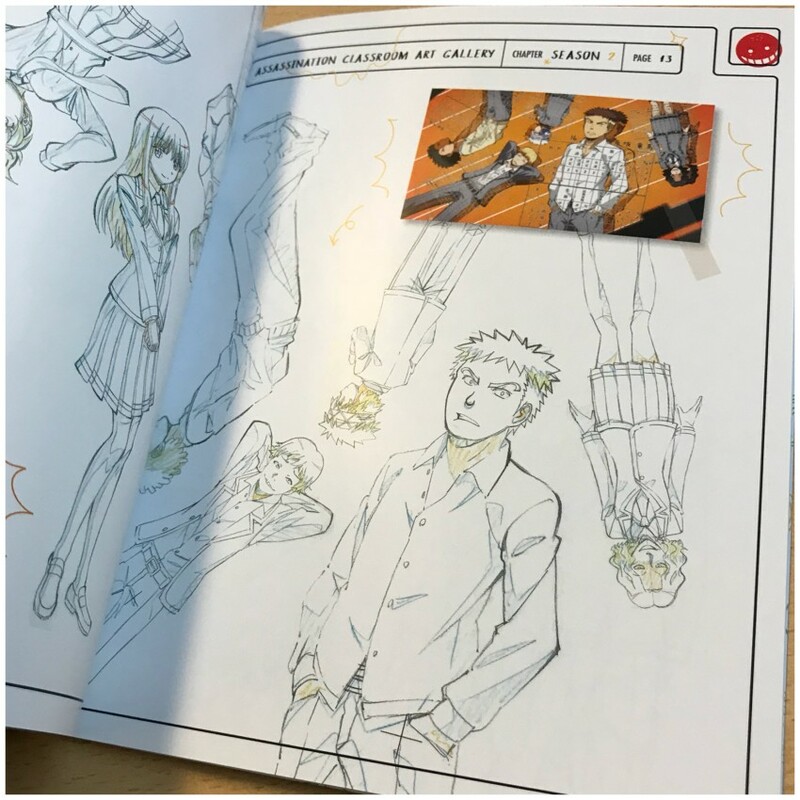 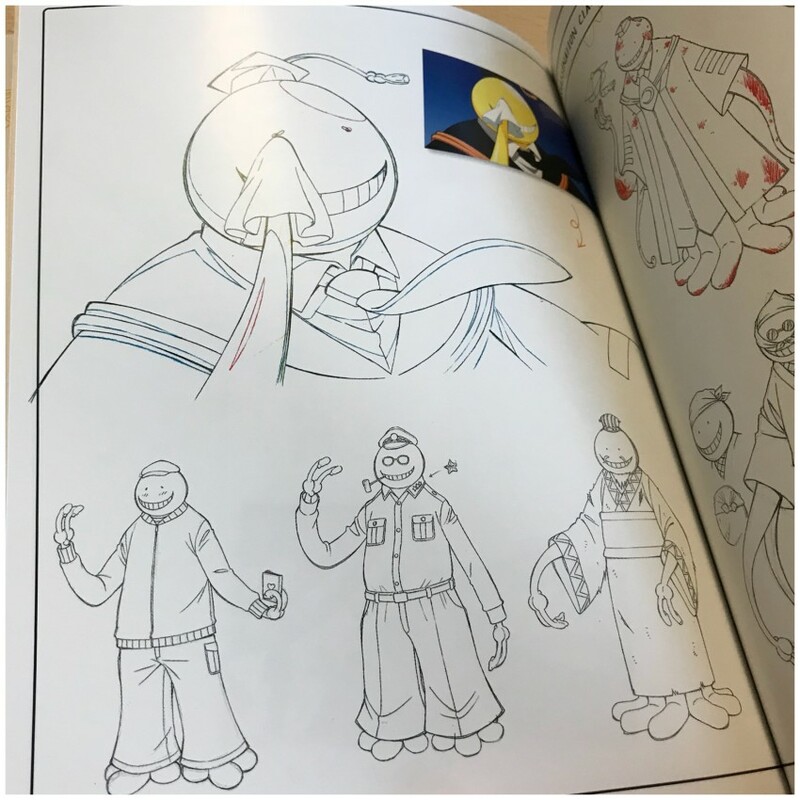 In addition to that you’ll also find a 30-page booklet containing character art and key visuals from across both seasons of the series. 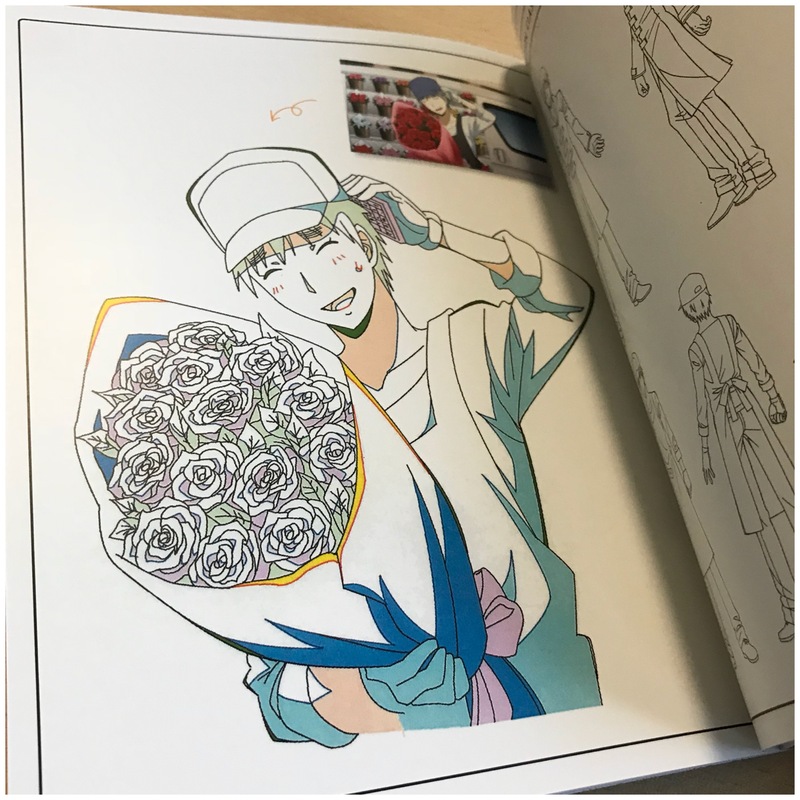 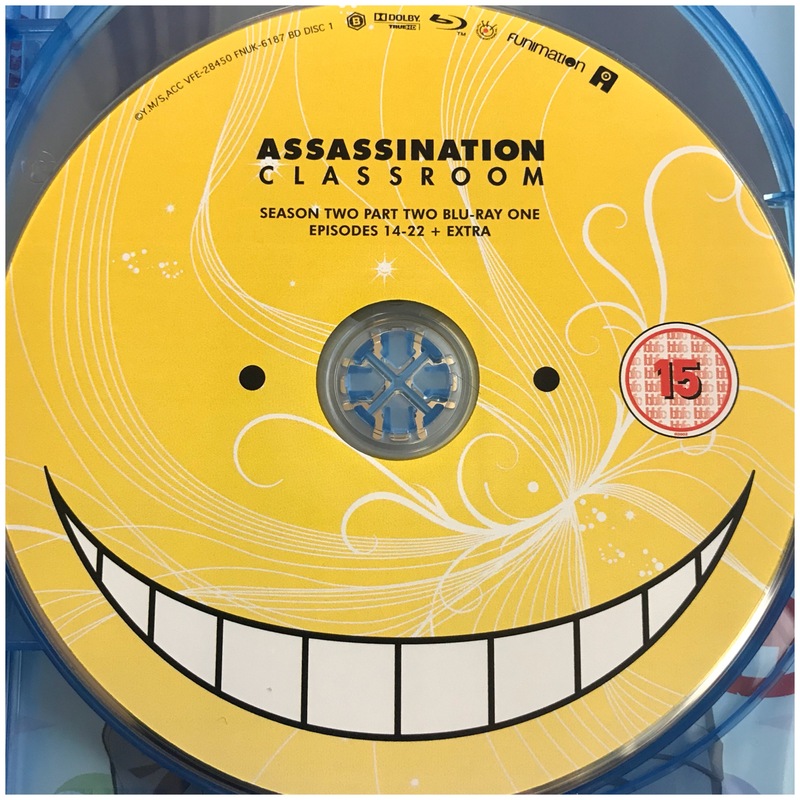 On-disc extras (spread over the four discs) include: Episode commentaries, OVA episode 0 “Meeting Time”, Interview with the cast, Clean Opening and Closing title sequences, Top 10 Moments featurette, Textless Opening Song “Jiriki Hongan Revolution” Version 1, Textless Opening Song “Jiriki Hongan Revolution” Version 2, Textless Closing Song “Hello, shooting-star”, Previews for each episode in season 1. 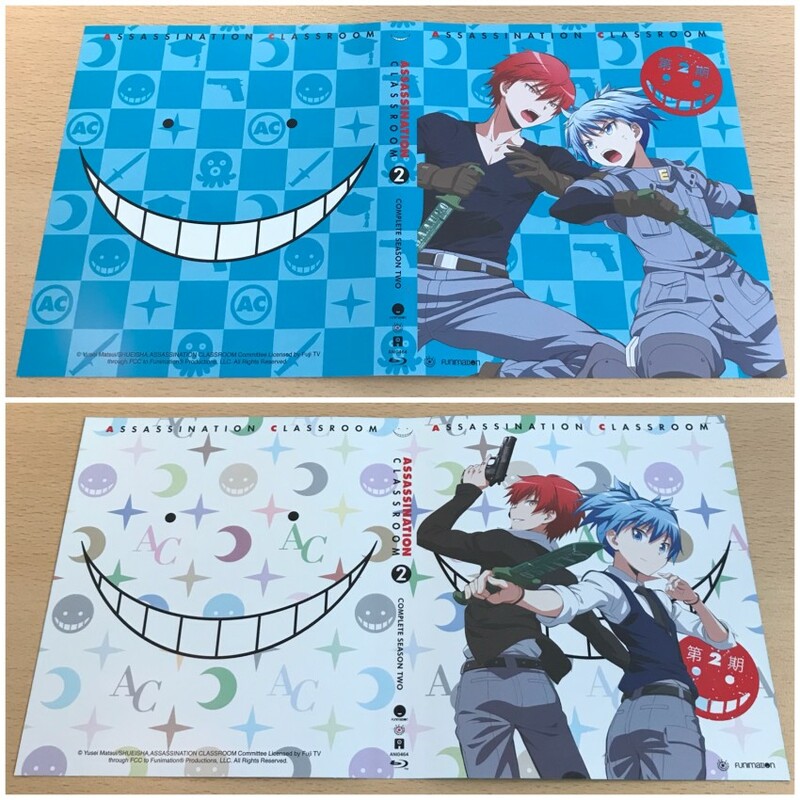 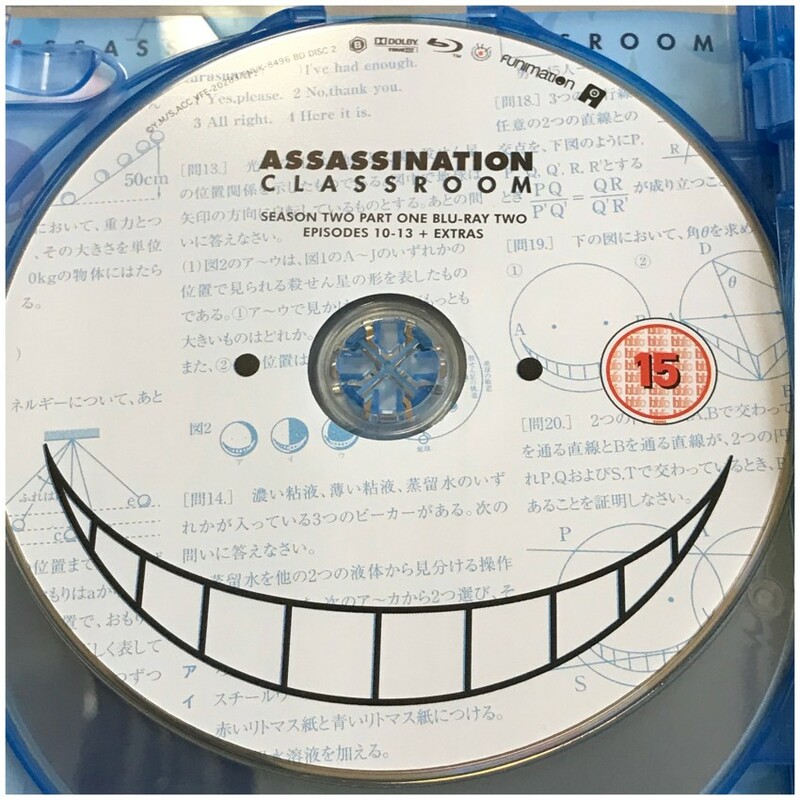 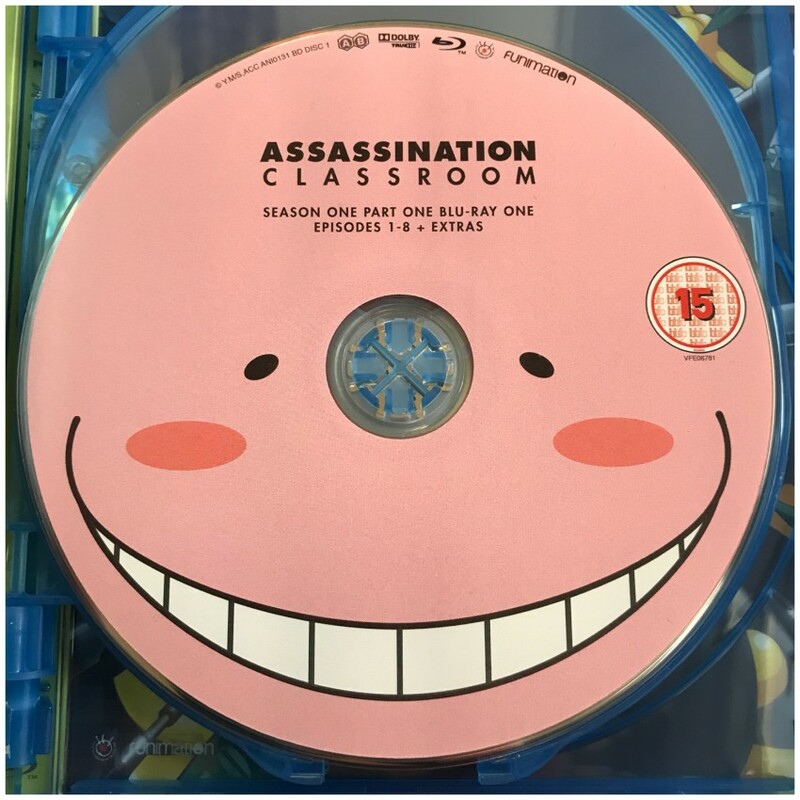 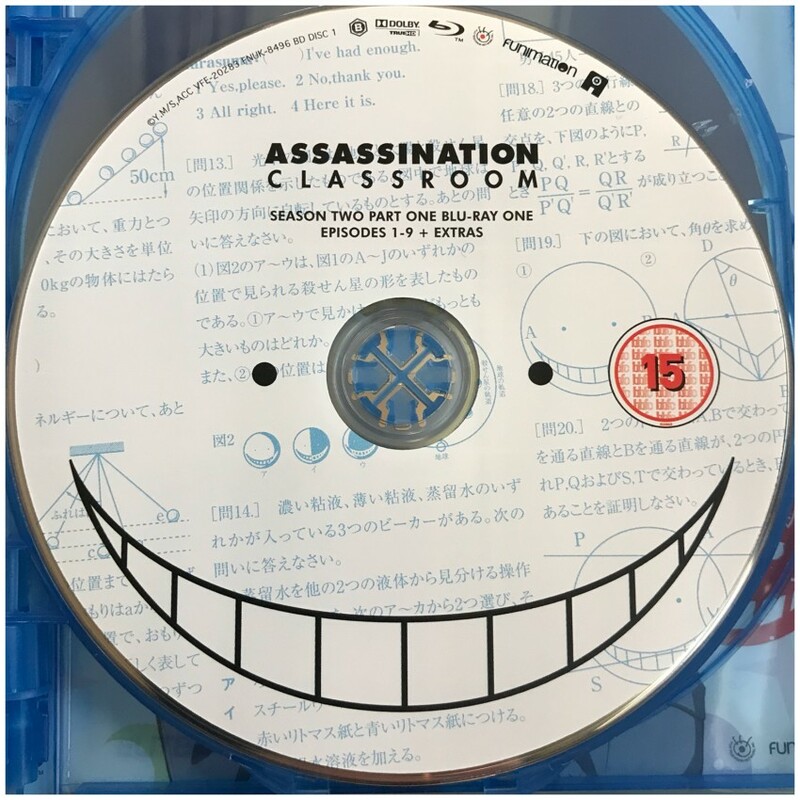 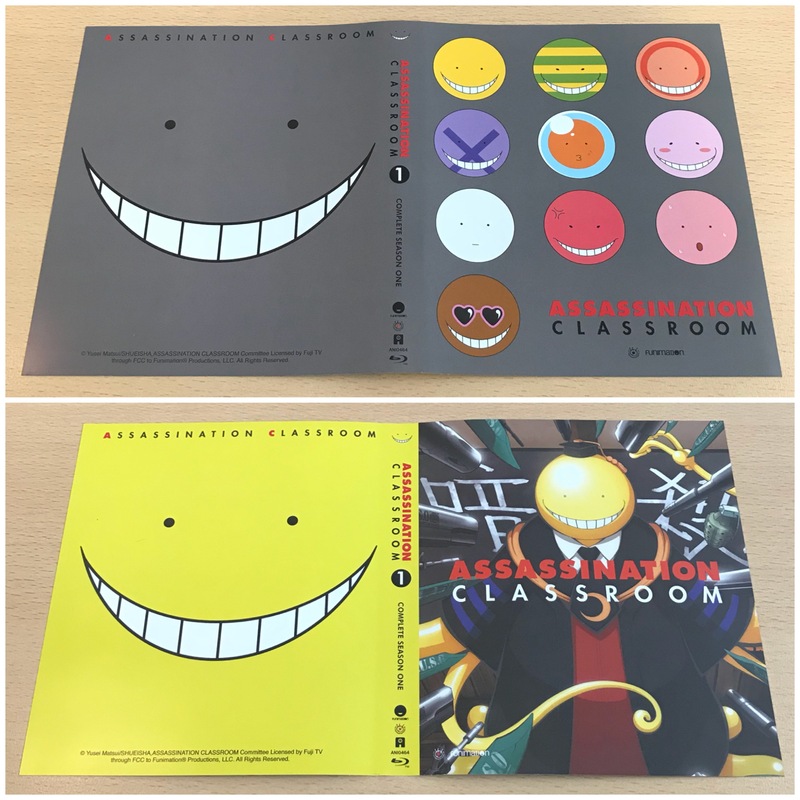 On-discs extras across these discs are: Episode commentaries, “The Many Faces of Koro Sensei”, Textless Opening and Endings, Top Ten Moments: Assassination Classroom Season 2, Textless Opening Song: “QUESTION”, Textless Opening Song “Bye-Bye, Yesterday”, Textless Closing Song “Waning Moon”, Textless Closing Song “This Day I Can See You Again”, Previews. 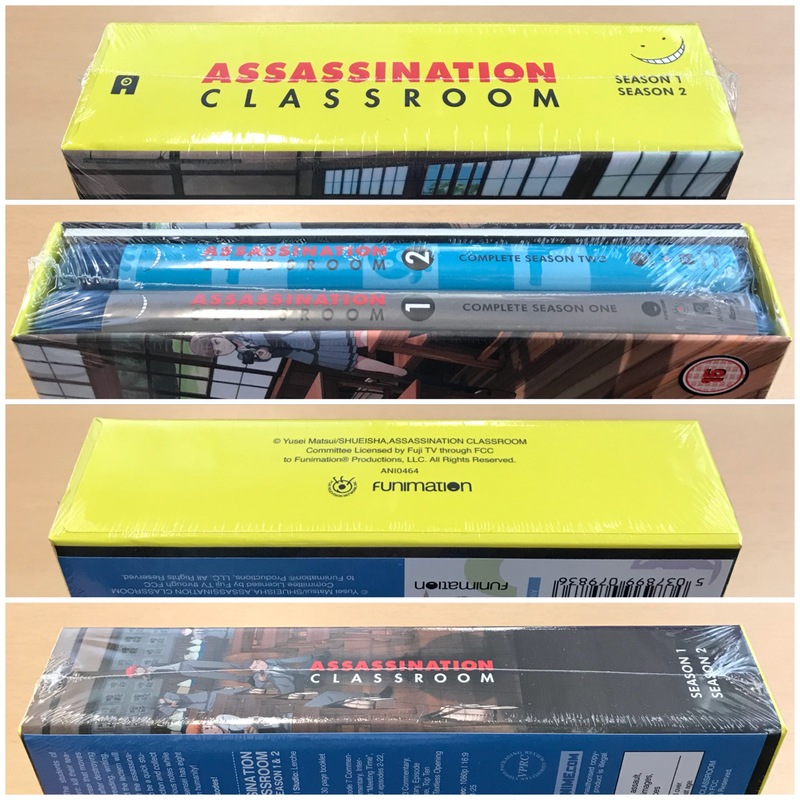 It’s also worth noting that should you attend an event we are exhibiting at in the future, we’ll likely have some units available at those too. 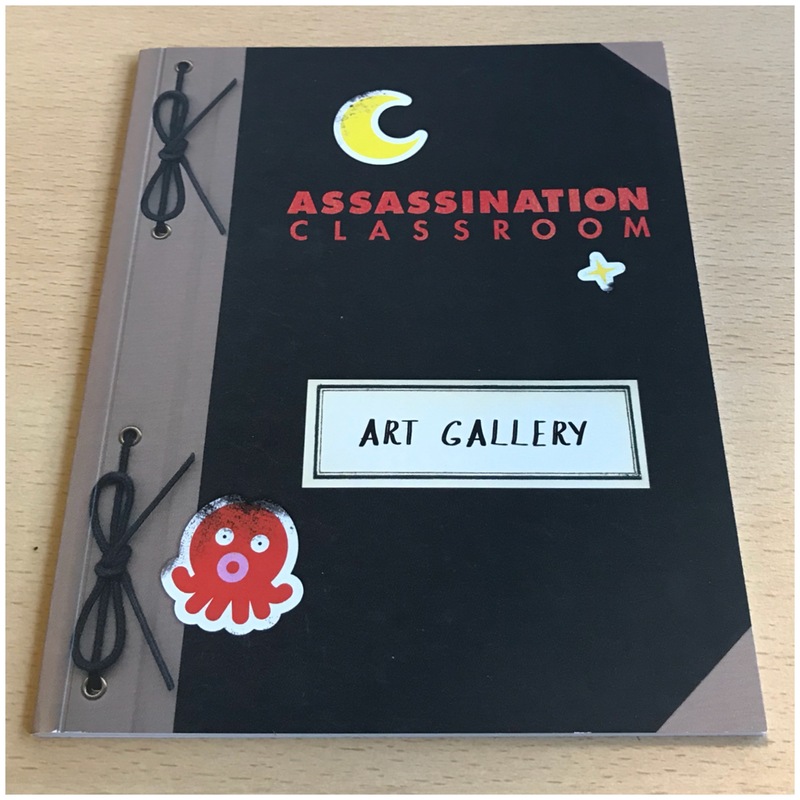 And now for some photos of the finished product for you. 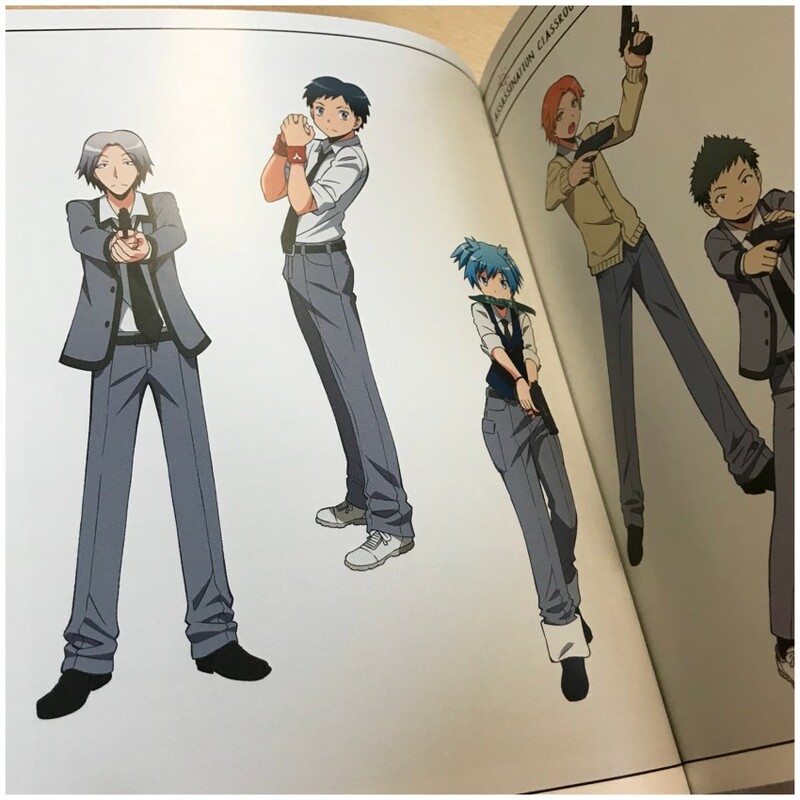 Worth mentioning that you can click on them to enlarge them too. 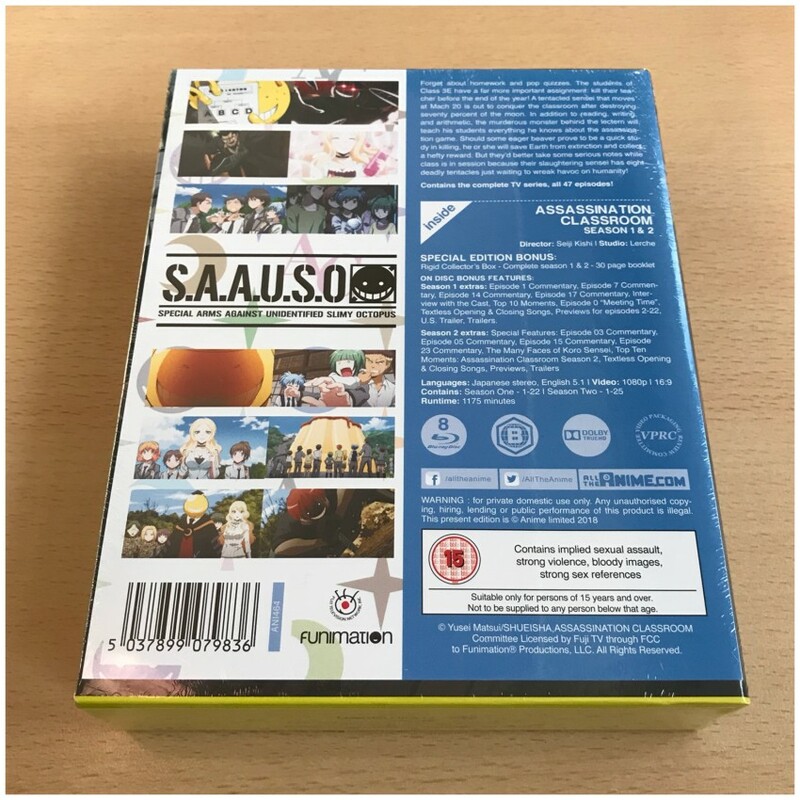 With cellophane and info sheet removed here’s the reverse side of the rigid case. 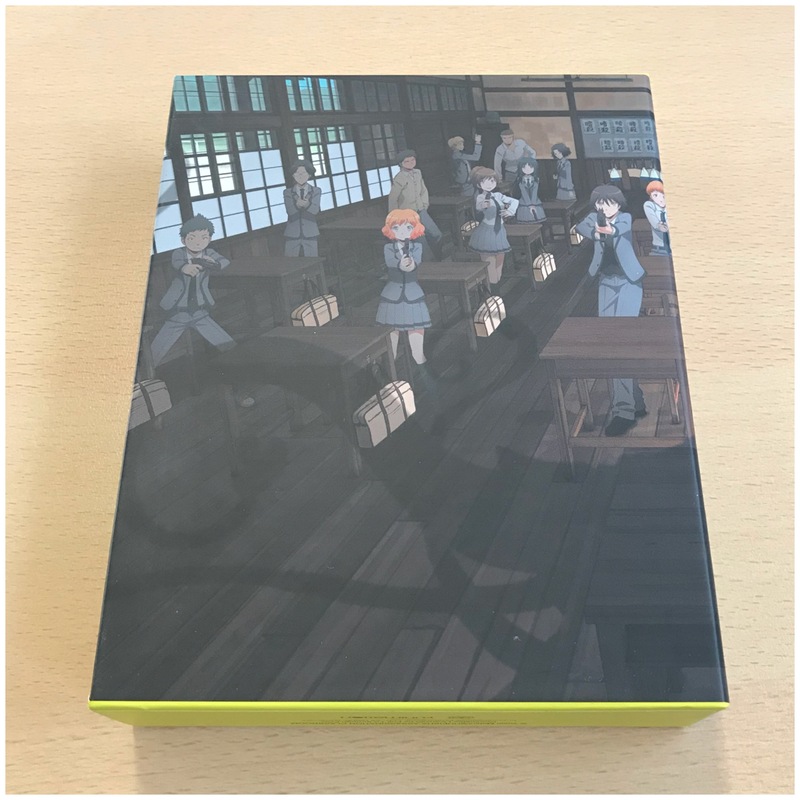 You’ll notice the image wraps around the entire rigid case; here’s an attempt to show you that. 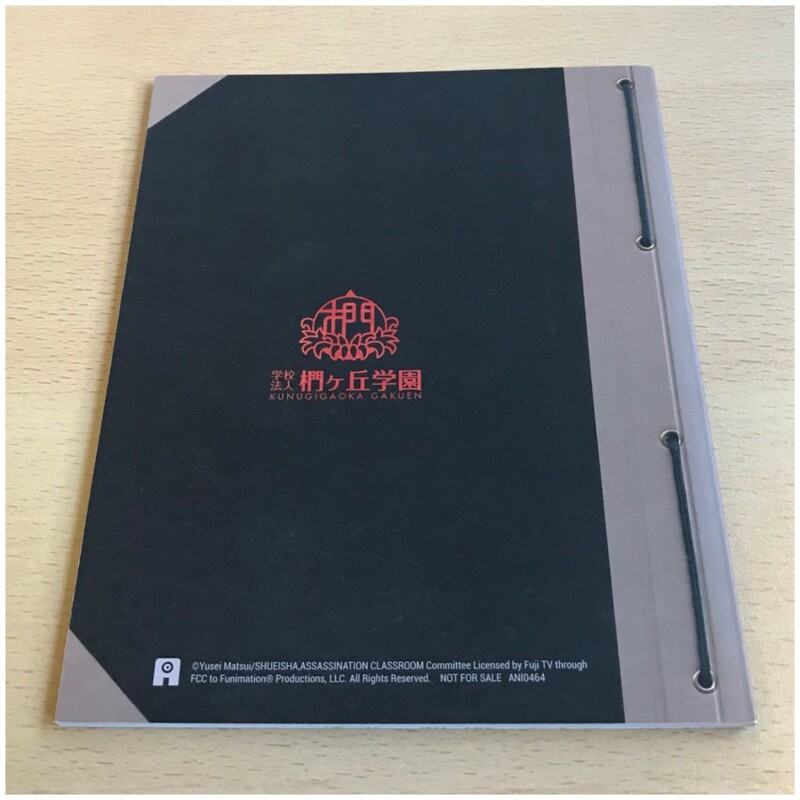 The first amaray case. 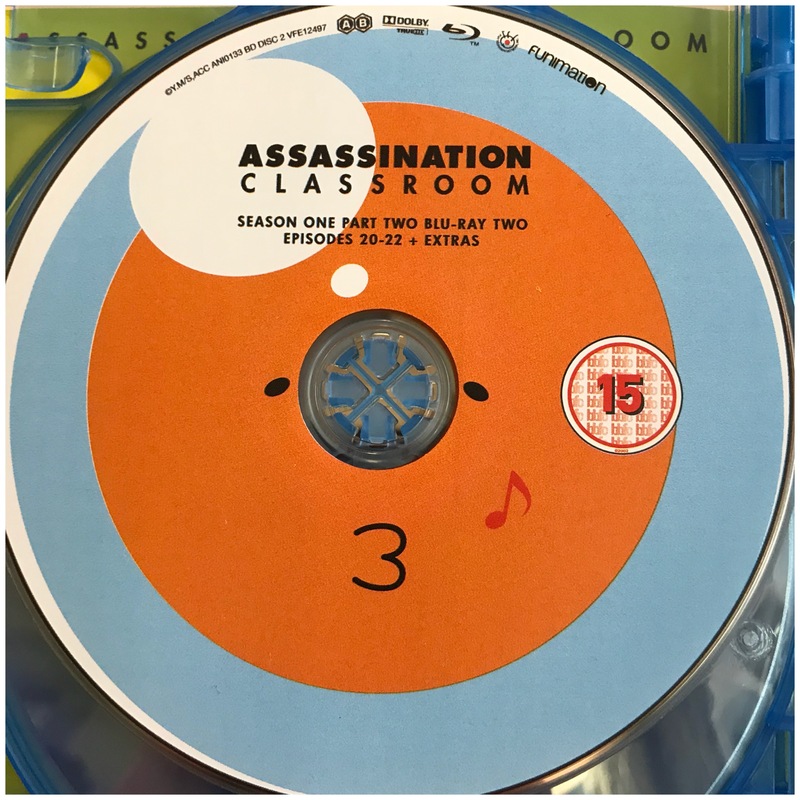 This contains season 1. 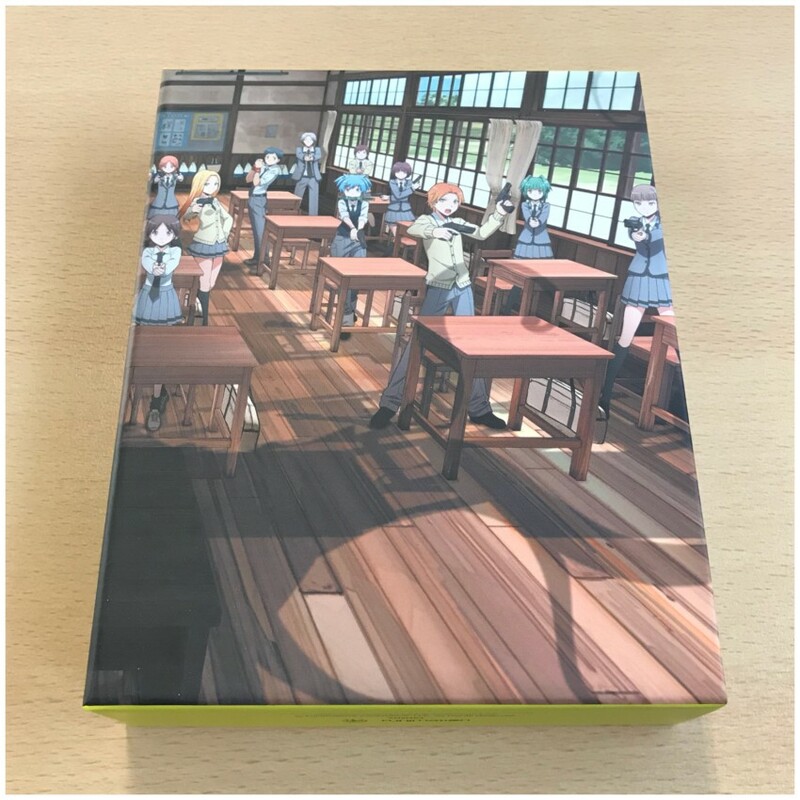 Now onto the second amaray case. 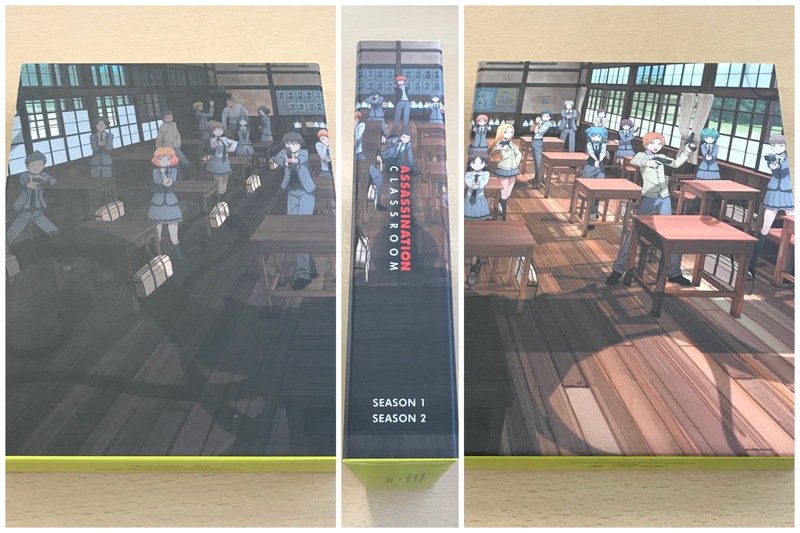 This holds season 2. 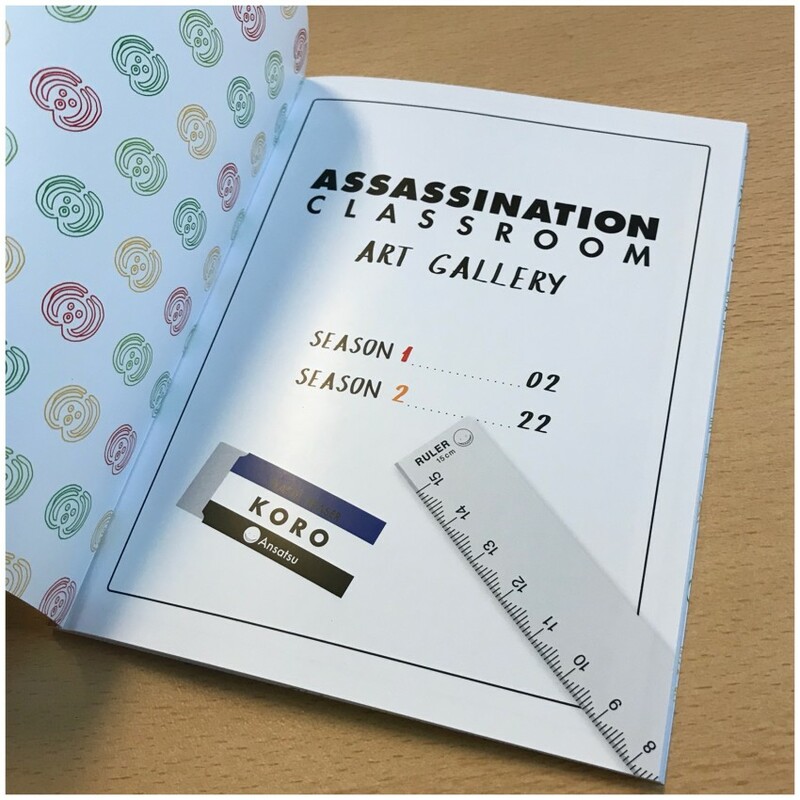 Now onto the 30-page art gallery booklet. Here’s the front of it. 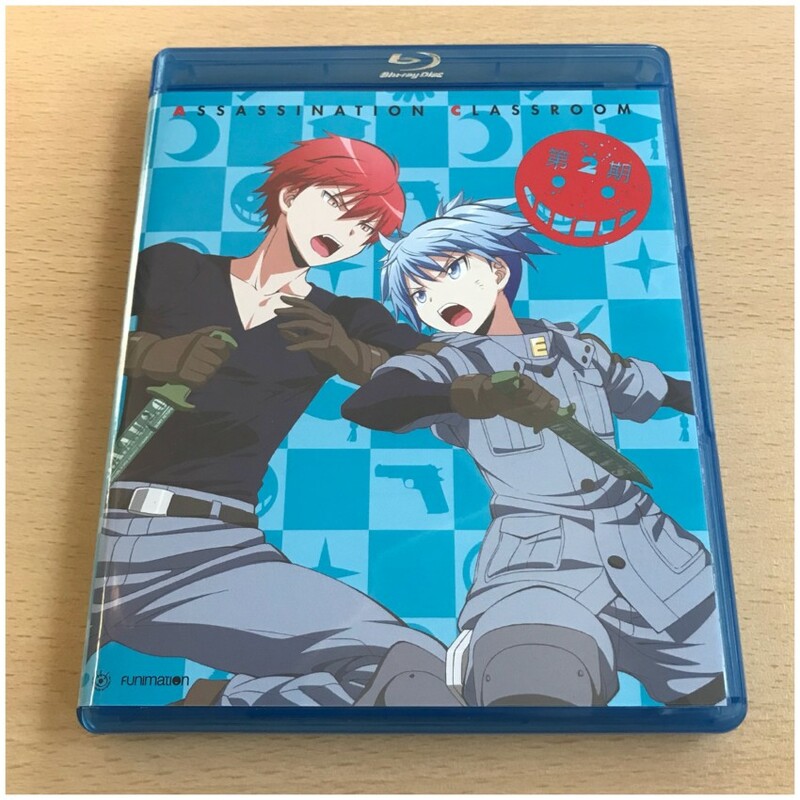 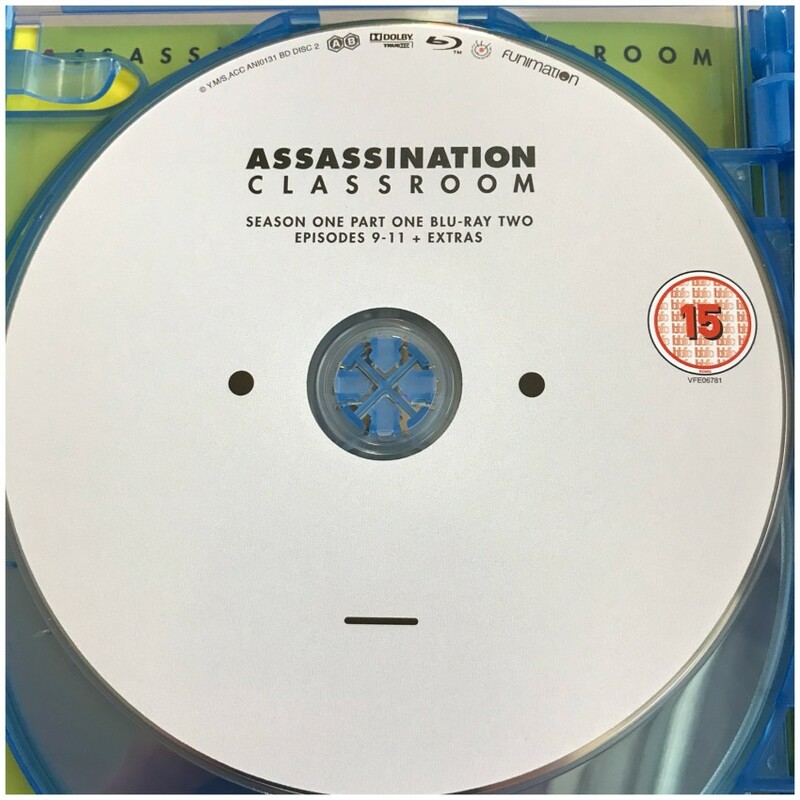 That concludes this unboxing of the AllTheAnime.com Exclusive Assassination Classroom Season 1 & 2 Ltd Collector’s Edition Blu-ray collection. 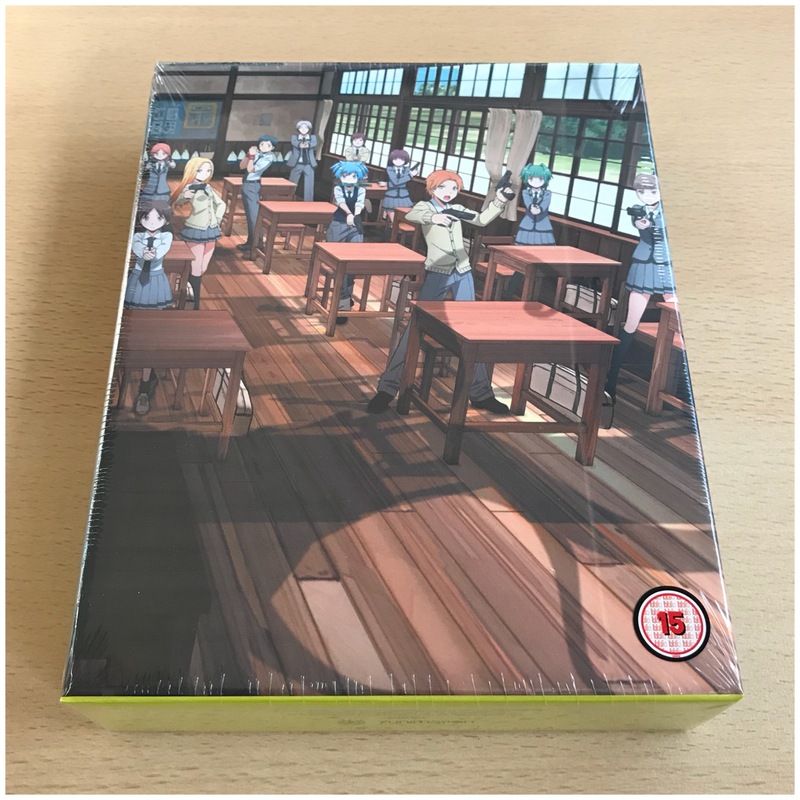 We’re hope you’re looking forward to adding it to your collection if you haven’t already.